When you think about home storage, the kitchen probably comes to mind as one particularly productive room. It has plenty of cabinets to store items out of sight and counter space to prepare food and work on projects. Why doesn’t your garage have a similar storage solution? It could be one of the most productive rooms in your home, but without garage cabinets, the garage is likely a catch-all space with piles of disorganized junk and barely enough room to park your car. If this sounds like your garage, don’t fret; garage cabinets are easier to purchase and install than you think. When you’re ready to start looking for the right garage cabinets to eliminate clutter, follow this guide to help you make the right choice for your home. It’s unwise to go out and buy a row of cabinets without first understanding your storage needs. First, assess the items you plan to store in garage cabinets and determine how much square footage you think it will take. Take accurate wall measurements so you know your space restrictions. Most people have at least a small stockpile of sporting gear. This is especially true if you have children trying out tennis, basketball, baseball, hockey, soccer, football or another sport. Even if you simply enjoy backyard volleyball or badminton in the summertime, you probably have a few sporting items stored in the garage. It makes sense to store all sporting equipment together, but different storage methods may suit different equipment best. For example, hockey pucks, baseballs and tennis balls may belong on a small shelve while hockey sticks, bats and racquets need a long, thin storage area. Built-in hooks inside cabinets are perfect for storing long, thin items in an organized way. Determine how many shelves you want in each cabinet and which ones should be adjustable. 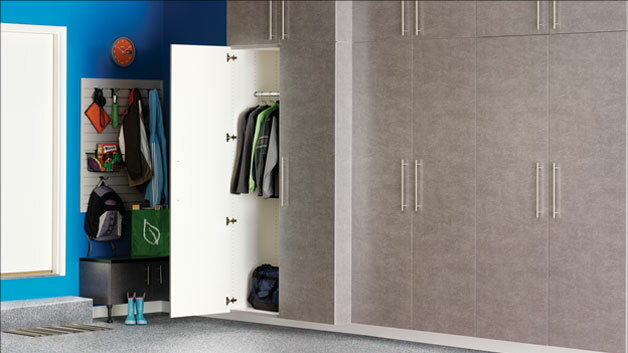 Finally, decide whether you want to store sporting equipment behind closed doors or leave the cabinets open for fast accessibility. Perhaps your ideal cabinets are made of metal, but it’s not the most budget-friendly option. Durable plastic resin cabinets are a great option for storing all types of items, including cleaning products, craft supplies, small kids’ toys, seasonal decorations, pet supplies and “junk drawer” items that tend to clutter the garage. If you still need help determining which garage cabinets are right for your needs, request a free on-site design consultation from Boston Garage. 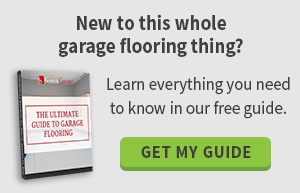 Our experts can help you see your garage from a fresh perspective and help you get the most out of the space.